When people think of artificial intelligence (AI), they generally think of robots. And while that is part of AI, this technology plays a much larger role in our day-to-day experiences than we may think. At a basic level, artificial intelligence is simply software that can acquire data and perform actions based on its own analysis. Before, algorithms were written by humans who would set rules of actions, such as “If A does X, respond with Y.” However, AI-powered technologies now have the power to create their own algorithms. From chat bots and spam filters to consumer predictions and fraud prevention, AI is an integral part of our online experience. One of the biggest industries that benefits from AI technology is marketing. As online publishers seek new ways to reach their target audiences, AI offers real-time feedback, as well as strategies based on overall trend analysis and users’ behavior histories. Today, marketing is less about just having a great ad and more about placing an ad at the right time and place to attract users. Online advertising comes in several forms, and each method targets users in a different way. Often, marketers use different ads simultaneously to maximize impact. However, with so many different channels to oversee and the amount of users who interact with a site, marketing is a time-consuming endeavor that requires constant re-strategizing. Typically, marketers will plan out their media-buying strategy, implement it, and then retrieve and analyze the data. From there, they make predictions for future success and alter their strategies to reach their target users better. AI optimizes this process by performing data analysis and real-time strategic implementation. As a result, AI saves marketers time and allows them to focus on creative campaigns to increase their visibility within their target audience. One example of how AI integration can broaden companies’ access to consumers is Google AdWords, the search engine marketing (SEM) tool. It has an ad rotation feature that is powered by AI technology, which allows advertisers to prioritize ads based on data gathered from different variables, including keywords and location. Depending on the advertiser’s goal, whether it is lead generation or consumer engagement, AI will adjust which ads are shown to users. Emails sent to targeted consumers. Ads posted on social media accounts. The scale at which remarketing must be implemented makes it incredibly complex. Artificial intelligence plays a key role in making predictions in real time while also updating its decisions based on incoming data. 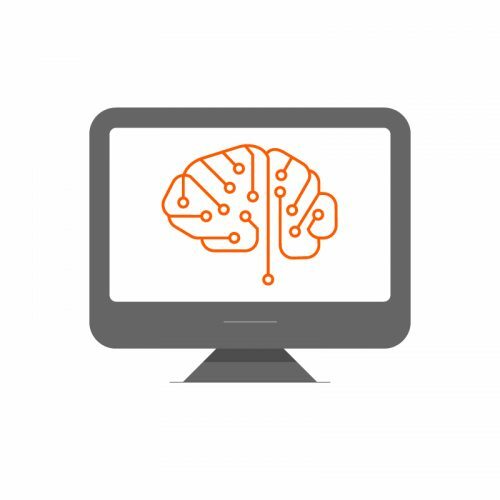 Through machine learning, it can identity a buyer’s intent and identify potential shifts in behavior, an integral step in increasing conversion rates. While a marketer can perform these same steps manually, AI replicates them at a much faster rate and bigger scale. Media buying involves purchasing timeslots or advertising space on websites, newspapers, television and other media. In the past, this was strictly limited to newspaper ad space, radio timeslots and television advertisements. Today, however, media buyers have the option to pay for space on websites, social media platforms and search engines. There are countless factors to consider in media buying. Agencies have metrics they can use to inform their decisions, such as gross rating point (GRP) and impressions. However, these measurement tools are not perfect and can lead to skewed results. On the other hand, AI reduces this margin of error and creates algorithms based on previous data. As a result, artificial intelligence can more accurately determine which media has the highest return margin. More recently, media agencies have begun implementing AI-powered technologies in real-time bidding (RTB). RTB is a tool that automates the process of buying ad inventory. In this environment, demand-side platforms must decide within a few milliseconds which impressions to bid on. They use algorithms to determine what bid to place and the probability that an ad will increase conversion rates. This process follows traditional bidding procedures where advertisers place a bid, and the highest one wins. Today, though, this process takes place in under 200 milliseconds and relies on historical data and many other criteria. In this scenario, AI helps to provide better predictions and personalize ad delivery for a site’s users. AI does not yet have the maturity to operate by itself. It stills need human intervention to fine-tune its decisions when they are not in line with the marketer’s goals. However, AI technology is increasingly becoming a vital tool in predictive and personalized marketing. With it, advertisers can leave tedious tasks behind and take advantage of AI’s optimization strategies so they can focus instead on creative ventures.